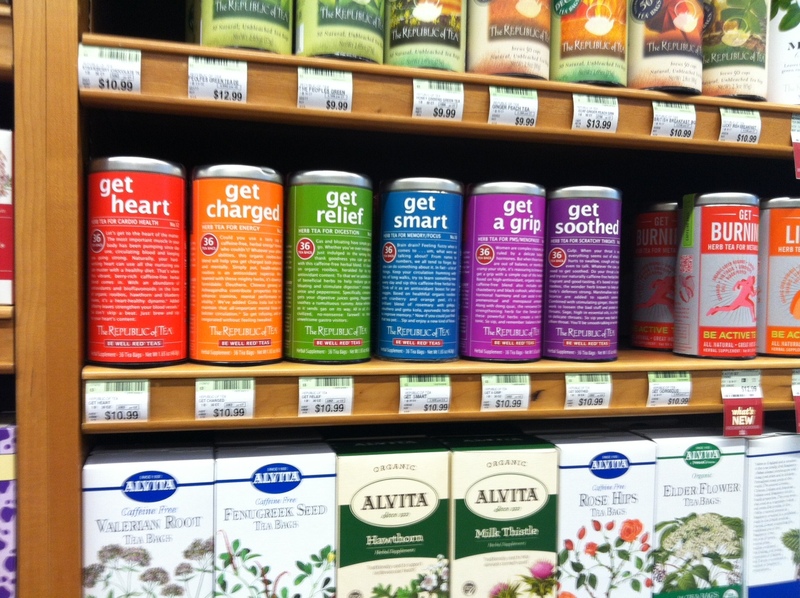 In the absence of the "Get Laid" tea, I guess you'll have to opt for the "Get A Grip" tea in order to "Get Relief"~HA! reforminggeek - Also I expected to see Maxwell Smart on the "Get Smart" tea. I mean, come on! Oh, so there you are. You're still at it too. I'll have to get over here more often. As we grow older we don't need get laid so much as get it up. Yes Brian that is Subby. I almost fainted when I saw him here. I need to get charged when I get a heart and get smart enough to get some relief but also need to get a grip so that I can get soothed so as to not have a heart attack. And truly getting laid is pretty good for one's heart. At least I heard it was. mrsupole - Subby comes when the gnomes call! strange things you have over there in a m e w i c a... you need to drink tea to get laid... !? monica - Apparently so...because I am not a tea drinker I have to assume that is why all these people flock to the tea section of the store. Why else would they go there? Man I wish there was some Get a Job tea I could give my son!